At Cushion Corner®, we have been crafting replacement O.W. Lee cushions for years. We have a large collection of patio cushion templates, to create the perfect replacements for your original O.W. Lee frames. 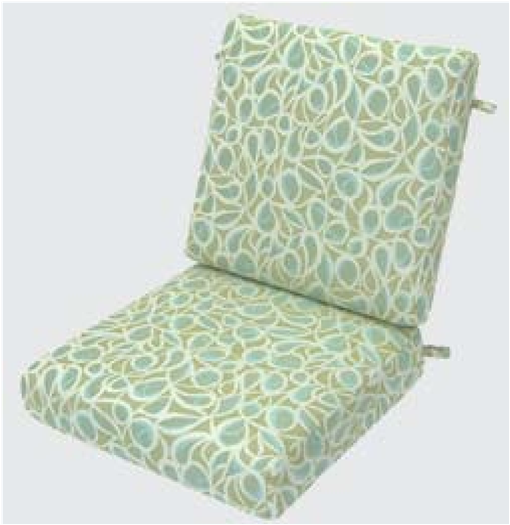 Our expertly crafted replacement patio cushions are beautifully tailored to fit your O.W. Lee furniture, with any fabric of your choice. With a wide selection of premium outdoor textiles, the creative possibilities are endless. At Cushion Corner®, we offer an array of fade resistant, mildew resistant fabrics that will last for years to come. Have a fabric in mind? We stock a large selection of Sunbrella® fabric and other premium fabrics including Bella Dura, Outdura, Robert Allen, Perennials and Tempotest. For more information or a free quote, call us today! © Cushion Corner 2019 - All Rights Reserved.